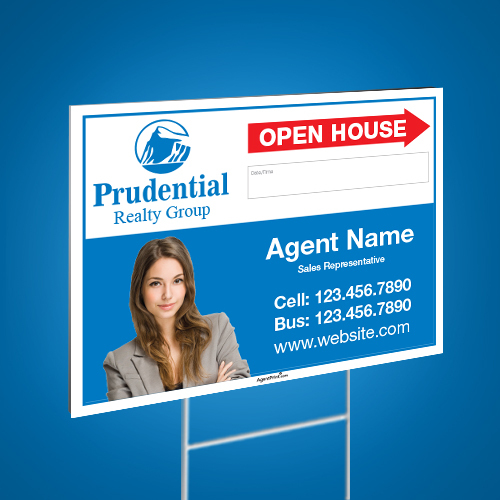 Prudential directional signs with write-on options offer a great way to promote real estate properties. We use high-quality printing ink for added protection against sun damage, dirt, and scratches. 24"x32", 24"x36", 32"x30", 32"x36", 32"x48", 36"x24"